A strong harmattan morning was settled in over the coastal region of Ghana yesterday morning. This drilling rig has been anchored just outside the fishing harbour at Sekondi for many years. Its purpose, its origins, it futures are obscured from most of us, much like the rig itself in this photo. And like the the obscured rig, the various agendas of big business and local politicians are equally unknown to those of us who walk the streets and tend the farms and work the markets in this West African country. We have seen what has happened to other African countries which have the double-edged “blessing” of black gold, and we all hope for better things in our country. Yet each day’s newspapers carry stories about this discovery and that rumour and those promises… and we remain with our questions unanswered and our hopes yet to be fulfilled. Hi Nana – just FYI the company that runs that rig is called Saltpond Offshore. Their office is located in Accra in Airport Residential Area. Their production levels are currently at about 500 barrels of oil per day. BTW – strangely Accra has not seen much of a harmattan this year. In fact, last week we had a major rain!!! Thanks for that, Holli, but I wonder if we are talking about the same rig. 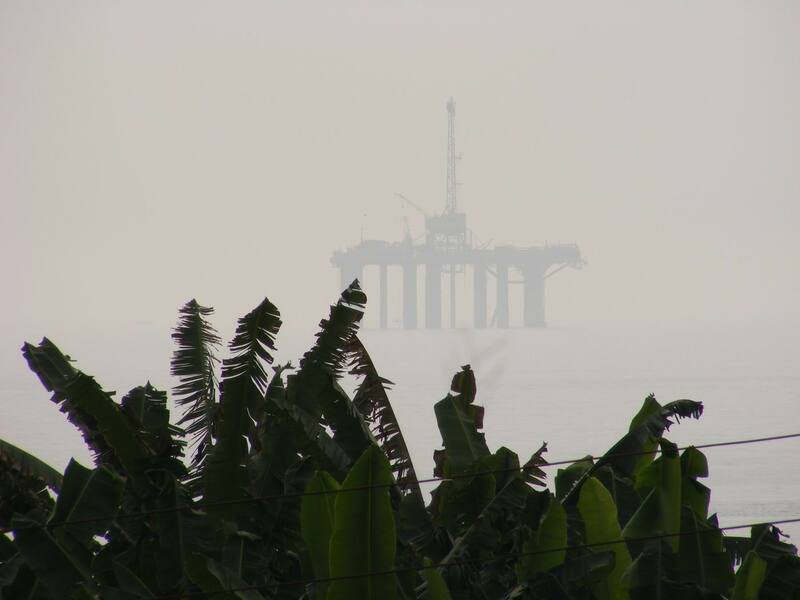 The one in the picture is not the one which is in production just off Anamabo/Saltpond, unless they own this rig as well. The one in the photo sits just outside the Sekondi Fishing Harbour.